Located in the village of Boyne Falls, Michigan, Boyne Mountain Resorts opened its doors in 1948 with a single chairlift, a single run and a single warming hut. Over 65 years later, Boyne Mountain Resort is still host to winter recreation including alpine and Nordic skiing and additional activities such as snowshoeing, tubing, and ice skating. 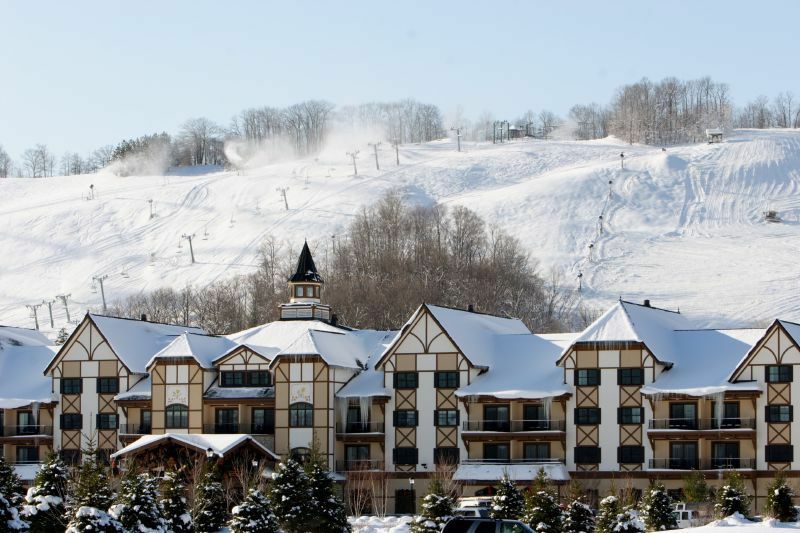 Boyne offers 500 vertical feet of drop, 60 runs and 415 skiable acres of terrain. The average 140 inches of snowfall per year is serviced by 10 charlifts. Freestyle skiers and riders have access to 7 parks, including a skier/boardercross course. Like its sister mountain Boyne Highlands, Boyne Mountain offers 90% snowmaking and 140 inches of snowfall annually. Spread across 415 skier and rider accessible acres, the terrain rates as 29% beginner, 41% intermediate, and 30% expert. 7 terrain parks including a skier/boardercross course and a featured Burton Riglet Park entertain freestylers of all sizes and ability levels. Ski and snowbaording rental and repairs, specialty shops, complete shopping in town; child care available, hospital within 15 miles. Designated area available free for beginner skiers and snowboarders. Burton Riglet Park and skier/boardercross area.